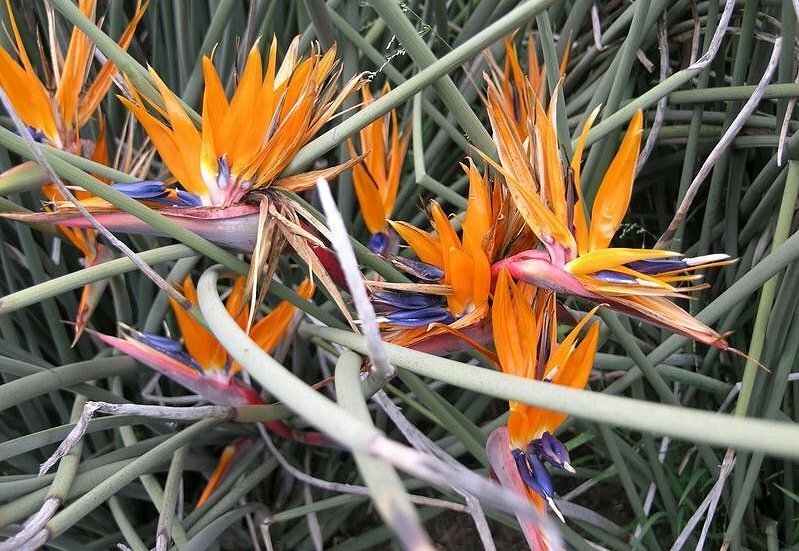 Strelitzia juncea , the Narrow-Leafed Bird of Paradise, has very pointed leaves, and a smaller growth habit than the regular Bird of Paradise. Strelitzia juncea has earned its reputation as a prized collector plant. Click here to see a larger photo of Strelitzia juncea.